Everest High Adventure Three Passes Trek begins from Lukla (2800m) after an exciting 35minute flight from Kathmandu. Once you arrive in Lukla, you will begin on the well-maintained trail leading through Sherpa Villages with colorful mani walls, prayers wheels, stupas, and prayer flags to Phakding. The trail follows the Dudhkoshi River past small villages and crossing many steel suspension bridges to the infamous Namche Bazaar (3440m). 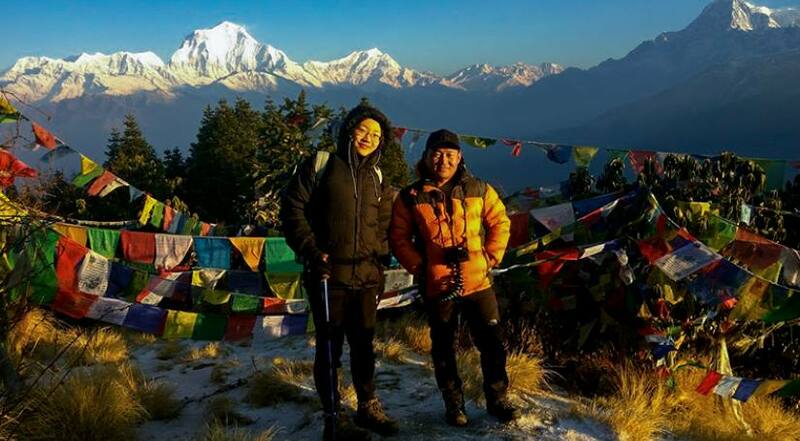 Namche is a bustling trekker’s hub with lots of cafes and shops to wander and explore, and it is important for every ascending Trekkers to spend two nights for acclimatization. After acclimatizing to the altitude, you will continue your trek through forests of pine, juniper, and rhododendron to Lumden. From Lumden, you will begin the strenuous adventure through the beautiful meadows and steep ascents to Remo-La (5316m). Remo-La has one of the best views in Nepal and descends to the exquisite valley of Gokyo (4700m). From here, one can ascend up to Gokyo-Ri (5300m) for magnificent views of Everest, Makalu Cho Oyu, Ngojumpa Glacier, Gokyo Lakes, and Gokyo valley. You will then cross the largest glacier of Nepal, Ngojumpa to Cho-la pass (5420m), the second pass of this trek. Ascending to the Cho-La pass may physical demanding and require crampon for ice. Here, the Everest High Aventure Three High Passes trail joins with Everest Base Camp Trek trail and leads to Kala Patthar (5550m) for an incredible view of Mount Everest (8848m) and Everest Base Camp (5364m), where you can see the fascinating Khumbu ice falls. From Kala Patthar, you will make your way to Kongma-La pass (5535m), which is the highest among the three passes. The top of Kongma-la offers an excellent view of mountains and valley. The trail then begins a descent to Chhukung (4730m), Tengboche, Dingboche, and Pangboche along the Imja Khola. Tengboche has the biggest monastery of in this region. The trail continues to descend via Namche Bazaar along the Dudhkoshi River to Lukla, which ends your challenging yet rewarding adventure on Everest High Adventure Three Passes Trek.